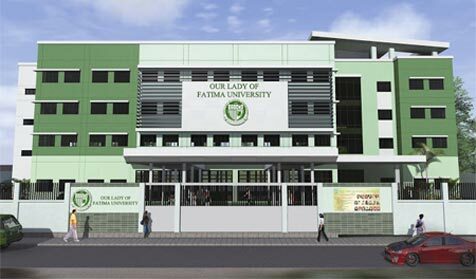 Our Lady of Fatima University, formerly known as Our Lady of Fatima College, and also formerly known as Fatima Medical Science Foundation, Incorporated (FMSFI) is a private university in the Philippines. 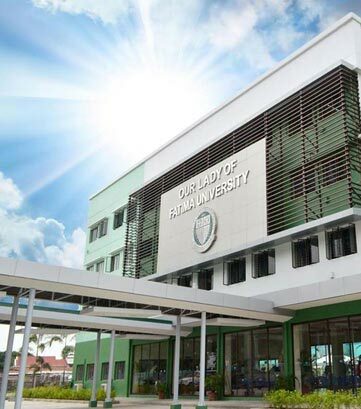 It has five main campuses, one based in Valenzuela City, the others in Quezon City, Antipolo, Rizal, Pampanga and the newly constructed Nueva Ecija Doctors Colleges Inc.
History : Founded in 1967 by Jose Olivares and his son-in-law, Dr. Vicente M. Santos, the university grew out of Our Lady of Fatima Hospital. The hospital became the primary provider of medical and health care services for Valenzuela. Olivares was an entrepreneur and previously a chemistry professor at Ateneo de Manila University and at the University of the Philippines. Santos rose from humble origins in Hagonoy, Bulacan, graduated from the University of Santo Tomas, became an obstetrician-gynecologist, and delivered over 96,000 babies during his 40 years of service. The founders set about improving the facility from a general hospital to a teaching hospital for health care providers such as nurses and midwives. This began in 1973 with the founding of Our Lady of Fatima College of Nursing. Dr. Santos and his wife Juliet Olivares-Santos continued the school's expansion, including the 1979 establishment of Fatima College of Medicine with the Pioneer Batch graduating in 1983. Fatima still focuses mainly on medical and allied health studies. UNIVERSITY-WIDE ISO CERTIFICATION - In 2010, the Quality Management System of four colleges, namely, Maritime Education, Dental Medicine, Medical Laboratory Sciences and College of Hospitality and Institutional Management were certified to the ISO 9001:2008 standard. And in June 2012, university-wide ISO implementation was put into place to increase customer satisfaction, improve product quality, and achieve international quality recognition. By October 2012, OLFU was awarded the prestigious ISO 9001:2008 Management Systems certification by the AJA Registrars. This is again an affirmation that the quality of the university’s processes and standards are at par with international management systems. 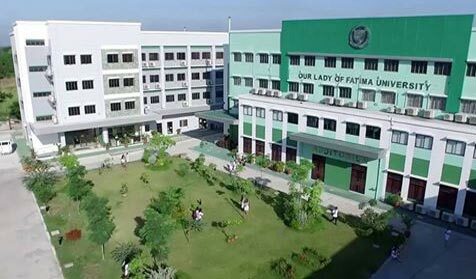 Our Lady of Fatima University is the first private higher education institution in the CAMANAVA area (Caloocan-Malabon-Navotas-Valenzuela) to have earned the distinction as an Autonomous University, recognized as a mature Teaching institution by CHED (IQuAME Category A(t) as well as having been ISO 9001: 2008 certified university-wide. Vision -To improve man as man by developing individuals through a legacy of excellent education and compassionate value formation. Mission - The noble dictum "improving man as man" embodies the existence of the Our Lady of Fatima University as an educational institution dedicated to the holistic formation of men and women imbued with the necessary skills, virtues, and academic development. College of Medicine - The OLFU College of Medicine is one of the Philippine’s most distinguished centers for medical education. Constantly responding to the rapid changes in science, technology and the social environment, OLFU fulfills its commitment to produce competence, world-class medical practitioners. It’s the first and only Philippine medical school to have an institutional clerkship program with a foreign hospital. In fact, the University has sent over 100 medical students for clerkship training at the Brooklyn Medical Centre and Peninsula Hospital in New York and Jackson Park Hospital in Chicago. In it’s almost more than 40 years of existence, OLFU has graduated more than 70,000 medical and allied medical health practitioners from all disciplines. Proof that makes OLFU a valuable contributor in the development of the medical and paramedical professions in the Philippines and abroad. International Student - The International Student Office is responsible for the recruitment and welfare of international students and has a student’s adviser on its staff. The International Student Advisory Service provides support for international students and their families throughout their time in Our Lady of Fatima University. 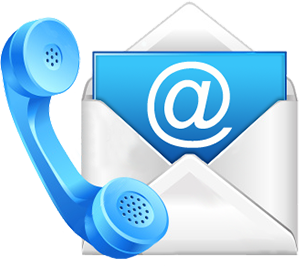 The service also functions as a resource center where you can drop in for information and advice on issues such as accommodations, student visa, applications, academic problems, and life in the Philippines. Affordable tuition fees & living cost. Safe environment & friendly people. Assured success in USMLE & MCI Screening test. Worldwide Acceptance of Filipino Method of Teaching. Globally Recognized Degree (Recognized by MCI, US & Canadian Medical Council, Europe & much more.). Philippines is The 3rd Largest English Speaking Country After US and UK. Any student studying in Philippines is widely accepted in USA and Canada; so much better Job Prospects if you study in Philippines. Excellent boarding and lodging provided by the University. Located in the heart of Manila with easy access to many parts of the world. Attached Hospitals - OLFU has a dedicated 200 bed tertiary care hospital apart from 1000+ beds in secondary and primary care facility. The amount of patient exposure the students can get is comparable to any of our Government medical colleges back home and superior to any of the private colleges. Our Lady Fatima Hospital Valenzuela city 200 beds tertiary care (Surgery, Paediatrics, Ophthalmology, Emergency Medicine, ENT, Cardiovascular Diseases and Endocrinology). Quezon City General Hospital 500 bed Hospital (Family Medicine, Gynaecology, Surgery, Radiology, Oncology). OLFU medical degree is directly recognised by New York and Illinois Education Boards and recognised by California quality health assurance.